The other day I wrote about adding a 'block heater' to the e-bike charging system. I'm please to report its working great! 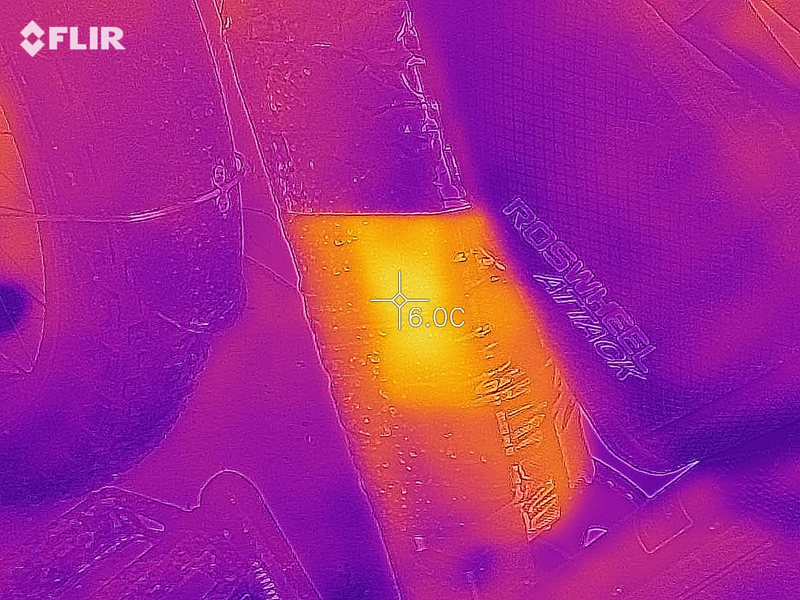 If we look at it with a thermal imaging camera, we can see that the 'hot spot' is about 6C, outside the insulation. So it shouldn't be *colder* than that inside I guess. This is with an outdoor temperature of about -10C. The 'cold' spot is about 0C. So I think its achieving the goal. The efficiency is not that great (charging off the built-in battery instead of an external pack), but I'm not concerned about long-distance driving, and I only have to charge about 1/week in the winter, so its not additional inconvenience.